Over the past few months, we made an excursion into Colombia, our beautiful neighbor to the east, to investigate a new investment opportunity: Cashew Plantations! 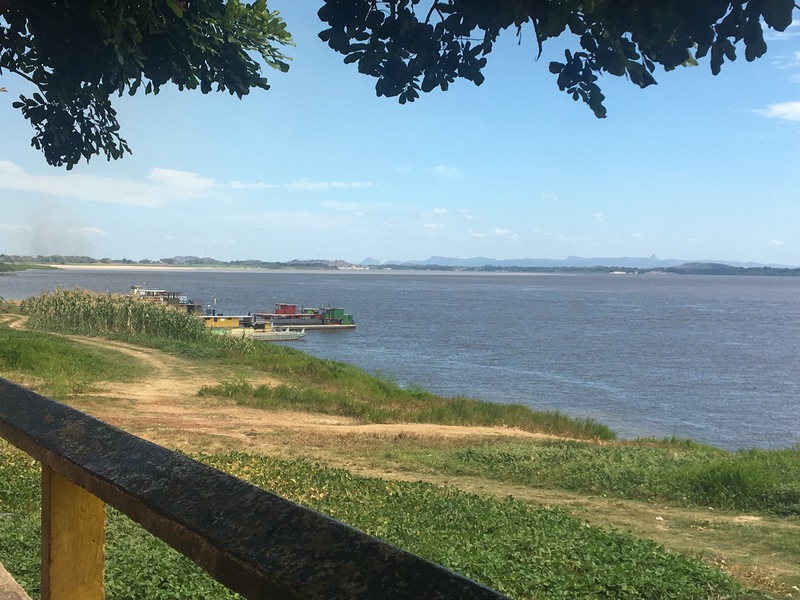 Because we are interested only in impact investments and sustainable farming, we were delighted to be able to spend a few nights in the Eco Hotel there in Vichada and experience life on an operating eco-farm. Most of the investments we offer do not need to be inspected by investors. The history of most of our organic farms is documented down to the smallest detail. and internet is a great help and convenience for transferring videos and an array of documents. When we started to explore cashew in Colombia, we knew that something exciting was awaiting us. 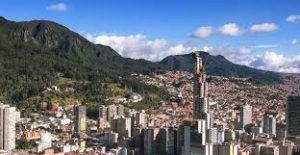 In order to reach the cashew plantations without having access to a private plane, you first must fly to Bogota, Colombia’s beautiful and exciting capital city. From there you are able to fly on to Puerto Carreño on a smaller airline. 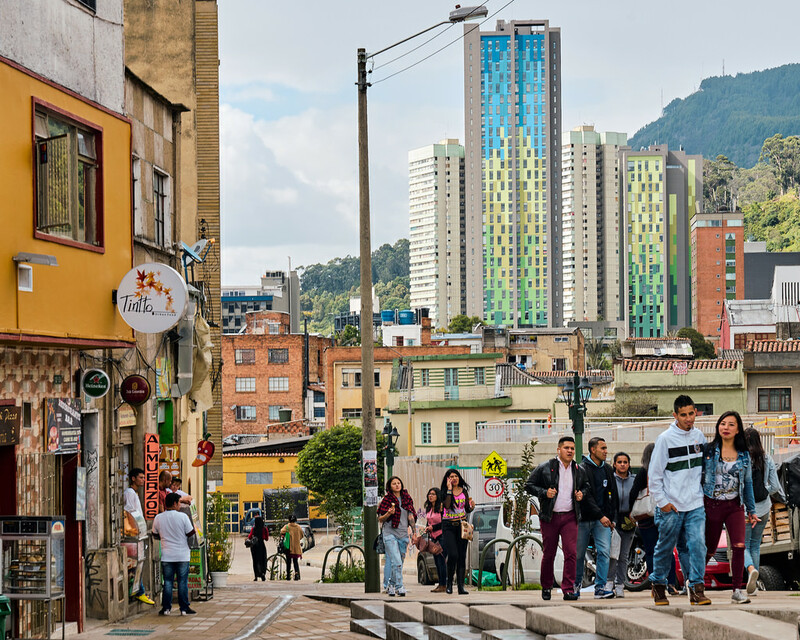 Since these flights happen only a few times per week, you most likely will need to spend a night in Bogota, which we were more than happy to do. In fact, we spent a few nights and took the opportunity to take in some of the sights of this area. Because Bogota sits at 8,000 feet above sea level, I first had to get adjusted to the altitude with the help of some Ibuprophen! The first day we spent meandering around some of the commercial areas and finding a good place to have dinner. But we were ready to do some serious exploring the second day. Our goal was the Salt Cathedral in Zipaquira, about 50 km away from Bogota. In order to get there, we had to hire a special driver since ordinary cabs are not allowed to go outside the prescribed city area. Our driver was a very pleasant fellow named Wilson who shared his vast knowledge of the area with us (in Spanish) as he negotiated the heavy morning traffic. Before long, we were free of the traffic jams and on our way north through some beautiful countryside. We arrived at the Cathedral location well before lunchtime so that we could get on with a guided tour in English. There are thousands of visitors arriving daily at this site and everyone has to take a guided tour–to make certain that, at the end of the day, nobody gets locked into the salt mine! In Colombia, the Salt Cathedral of Zipaquira is a pillar of spiritual strength. 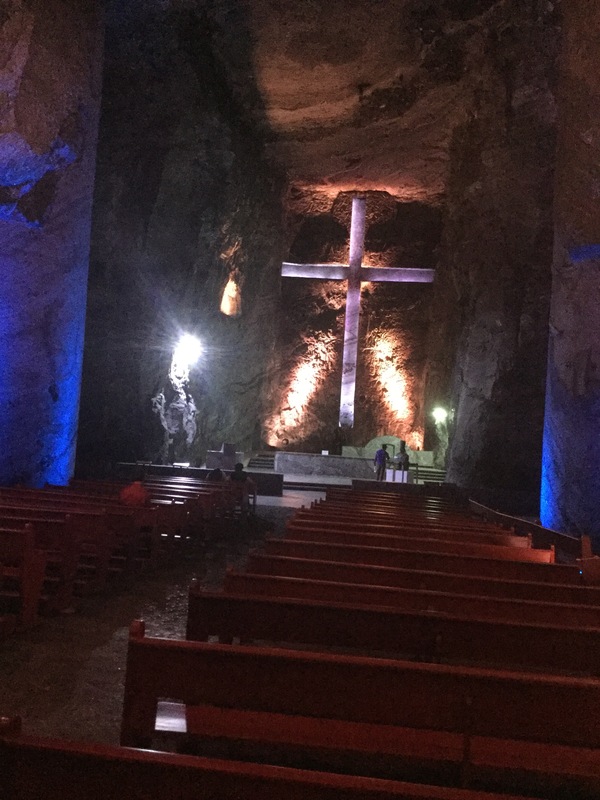 Hollowed out of the middle of this mountain and 600 feet below our feet is our destination and this cathedral is one of the most popular tourist and pilgrimage sites in Colombia, where as many as 3,000 Catholic faithful gather each Sunday for religious services in a Salt Mine! The passageway down to the Cathedral is also called “the Way of the Cross.” Over a period of 3 years, 127 artists from around Bogota repurposed 14 of the cavities on the passageway into rough-hewn devotional chapels. Each chapel represents a key event that occurred on the Via Dolorosa, the path Jesus took to his crucifixion. This passageway ends in the spectacular cathedral, which is dominated by a huge empty cross. The story of this cathedral begins in the 1930s when miners carved out a makeshift chapel in the mine tunnel. There they prayed for their safety each day before starting work. From these humble beginnings arose the first cathedral in 1954. The cathedral shared space with a working salt mine. Years of blasting, jackhammering and drilling weakened the cathedral’s walls, which came crashing down in 1992. A new cathedral was built and opened for services in 1995. 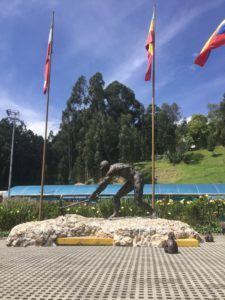 The salt from the Zipaquira mine has supplied funds for many years and many different purposes. The military received money several hundred years back to defend the land around the salt mountain. Today, with the town of Zipaquira the owner of the cathedral, the income from the cathedral is used for parks, roads and improvements in the city. 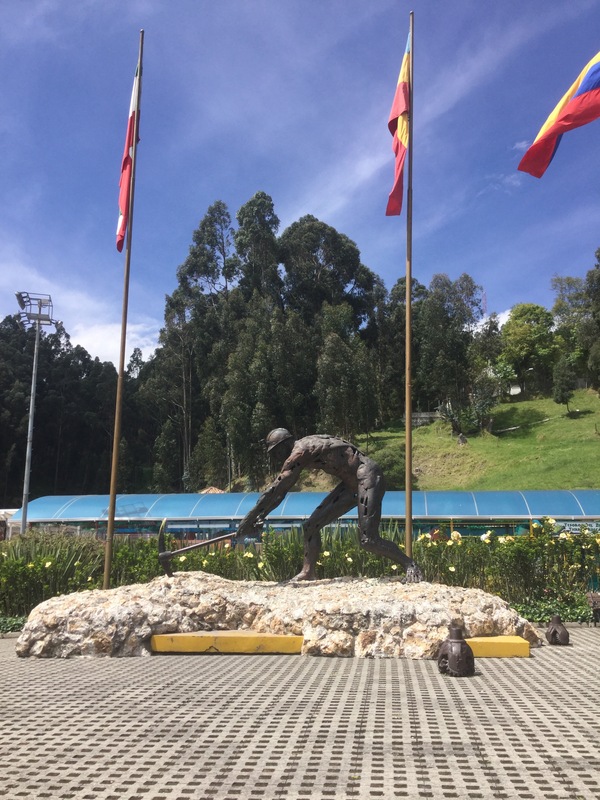 With over 600,000 visitors annually, the city of Zipaquira is one of the richest communities in the country. After the Salt Mine/Cathedral tour, every visitor gets directed into one of several excellent restaurants for a meal. The bus drivers and cab drivers work hand in hand with the numerous restaurants to showcase them in a way that makes it almost impossible to bypass them. Our lunch at a restaurant that specializes in smoked meats was delicious, plentiful and very priceworthy! It was definitely more food than Norma or I could eat, even sharing a plate. Our drive back to the hotel included a stop at the Museo de Oro (the Gold Museum–who wouldn’t want to see a Gold Museum?!) 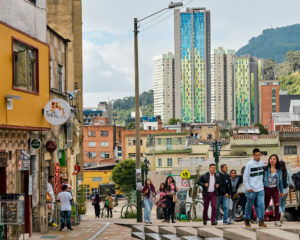 and touring through some of the popular areas of the city, a slow slog since our day’s activities had put us back into Bogotà directly during the afternoon rush hour! The following morning, our devoted cab driver picked us up at the hotel and delivered us to the airport for our flight to Vichada. Satena Airlines, a small airline owned by the Colombian military, took us on an uneventful flight of slightly less than an hour to Puerto Carreño, a town with a population of about 16,000. The population in this town, however, changes almost daily. The Orinoco River, which runs through town, is a huge river and is also the border between Colombia and Venezuela. Daily, many refugees come to Colombia trying to survive from the idiotic regime in Venezuela. Besides the refugees from Venezuela, hordes of sport fishermen also find the town of Puerto Carreño. During the season, many guided tours target the Orinoco River, the Meta River and the Bita (or Vita) River, which is a protected river. According to locals, this has some of the best river fishing in the world: Giant Peacock Bass, Sabertooth Barracuda and Payaras. Another group of people that is more often seen in this area are eco tourists who are interested in sustainability and the rebuilding of the rain forests. 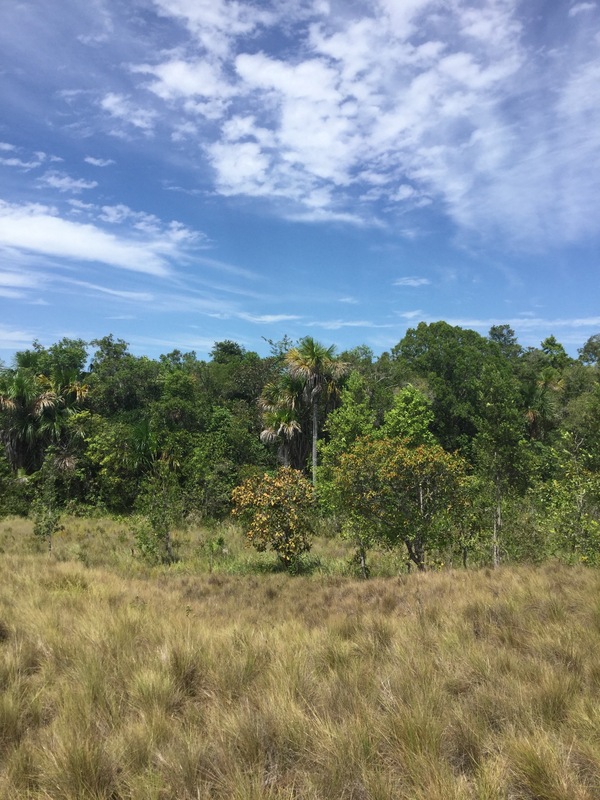 Our next goal was to visit a large development approximately one hour from Puerto Carreño, La Reserva Natural la Pedregoza. A very dusty pickup truck ride took us away from the Orinoco River and over about 35 km of seemingly endless Savannah to the shores of the Bita (Vita) River, the location of our “camp” for the next several days. “Camp” is an insult when you see the lovely Eco Hotel surrounded by Savannah, rain forest and the Bita River, one of the very few protected rivers in the world. This is a beautiful place which is difficult to describe with words. And for this visit, we were the only guests! This place really surprised me, after reading the rules for the Eco Hotel regarding water and electricity. We were “off grid” for electricity, with only 2 hours of power each day for charging devices, etc. The water supply was plenty for several daily showers in our rooms, even in “dry” season. The environment is just beautiful, with impressive sunrises and sunsets over the rain forest. The food at the hotel was the absolute winner. We had two local chefs/cooks preparing some of the best South american food I had ever tasted and, of course, all of the food came from this ecofarm: organic, sustainably grown, clean! Fruits, vegetables, herbs, fish, chicken–everything was wonderful. We spent 3 days in this paradise, trekking through rain forests, visiting pine plantations, observing beekeeping of African Killer Bees, which, by the way, produce a fabulously sweet honey. 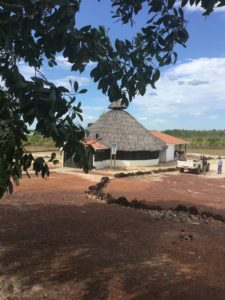 This development has many different program going on at any one time, including a project with the Colombian government protecting Podocnemis Turtles, native tree propagation, production of biochar, botanical gardens and an interpretive center. The farm also hosts students, scientists and volunteers. Our focus on this visit was the Cashew Plantation. Vichada, the state where Puerto Carreño and this development are located, is definitely the second-best growing area for cashew in the entire world! The area considered number one is just across the border in Brazil. Cashew is a nut and a fruit that is in big demand worldwide. 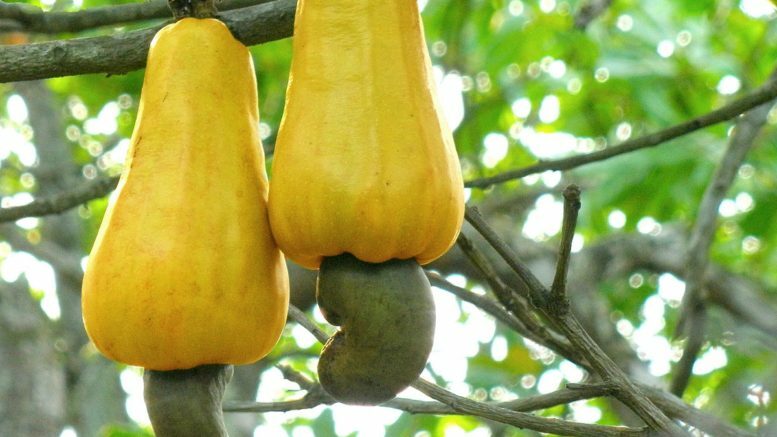 Most people are familiar with the rich and delicious cashew nut, but in North America, practically nobody knows that there is a beautiful and edible fruit on the cashew tree as well. The fruit is definitely more popular in Central and South America–it is known as Marañon–while the nuts are recognized and loved all over the world. Global demand for cashew nuts has increased 53% since 2010. As of 2016, demand for the cashew nut is expected to double every 7 years! While the plantations in Vichada are increasing in size and production, there is no way to keep up with the world demand. This is good news for owners and investors in quality organic cashew nut production, as the price for the nut will increase as demand goes up and supply remains the same. You purchase 1,000 cashew seedlings at a total cost of $25,000. The Cashew Farm will plant these trees for you, care for them, cultivate them, grow and harvest Cashew and then market them globally. 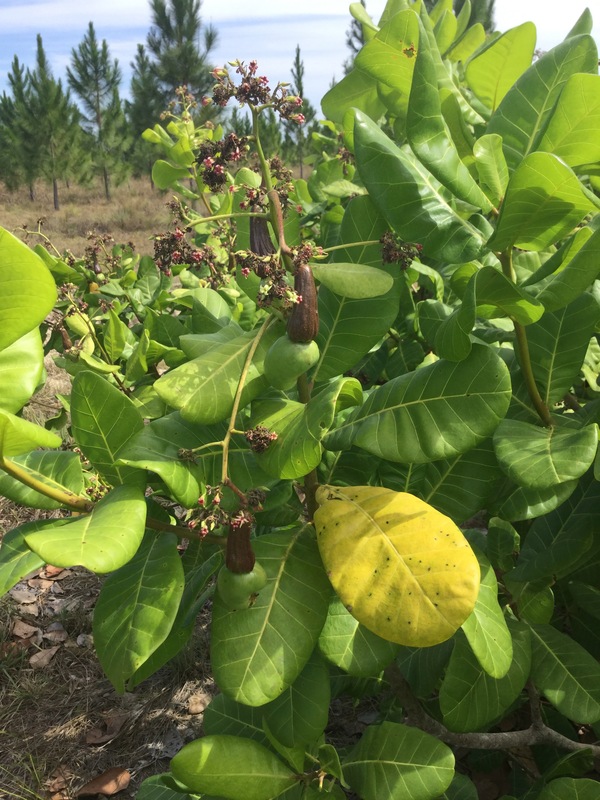 Within 12 years, the Cashew Farm will have repurchased your 1,000 cashew trees for a total of $80,000, a 320% return on your investment within 12 years. In addition to earning an amazing profit on your purchase, you are participating in an Impact Investment. The local communities profit as well by receiving jobs for men and women and better education for the entire family. In addition, there are business incentives, particularly for women in the area. At the airport in Puerto Carreño, there is a shop which showcases the products of local women, including honey, marañon extract, honey products such as candies and soap, as well as other crafts of the local women who are involved in the Cashew Plantations. 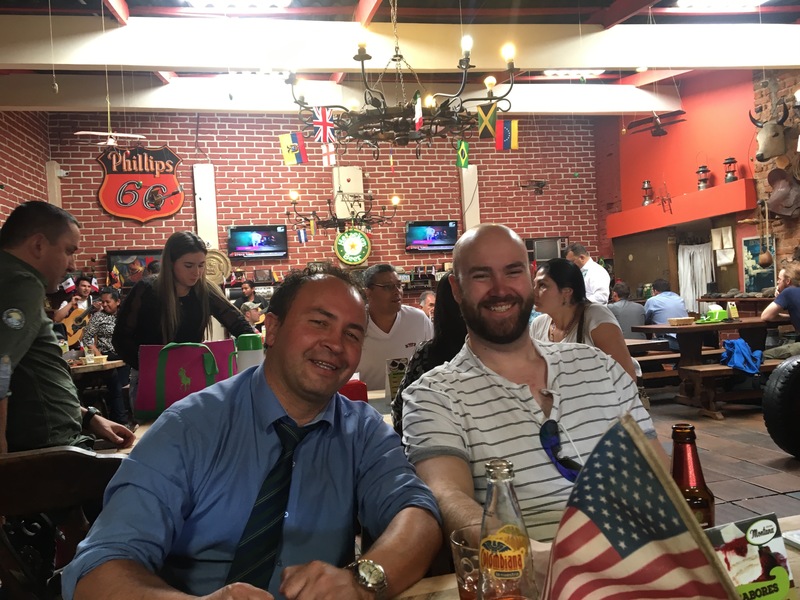 Be the first to comment on "A Short Trip to Colombia for a Double Hit! Cashew!"